If you are a regular frequenter of Pinterest, or perhaps you spend some time on various DIY blogs, there’s a chance that you have heard of Washi tape. If you haven’t, it is quite simply the savior of so many craft and design projects – especially if you are not super artsy! It’s a roll of tape, not unlike masking tape, but it’s covered with beautiful, fun designs. Traditionally it is made from natural fibers, such as hemp, bamboo, or the bark of trees, and it is an easy to use tape that has a touch of translucency but is surprisingly strong. 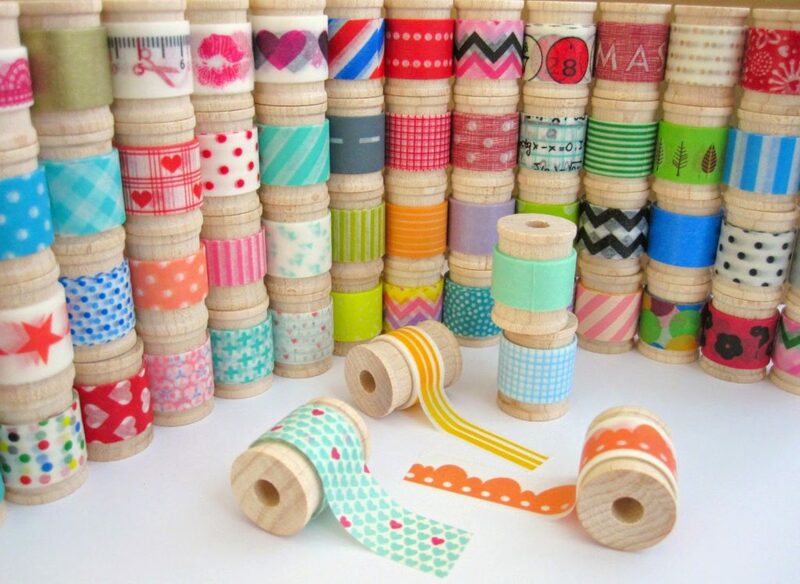 There are so many different designs of Washi tape. Some come in block colors, others with intricate pictures, and some are just covered in glitter. Once you start buying rolls of Washi tape, you won’t want to stop! Well, thanks to it becoming the must-have DIY and craft project addition, you can find it pretty much anywhere! Of course, pricey arts shops will stock it, but also much cheaper dollar stores like Walmart should have a variety. If all else fails, head to the internet where you can track down some amazing patterns and colors. The easier question to answer is what can’t you do with it? 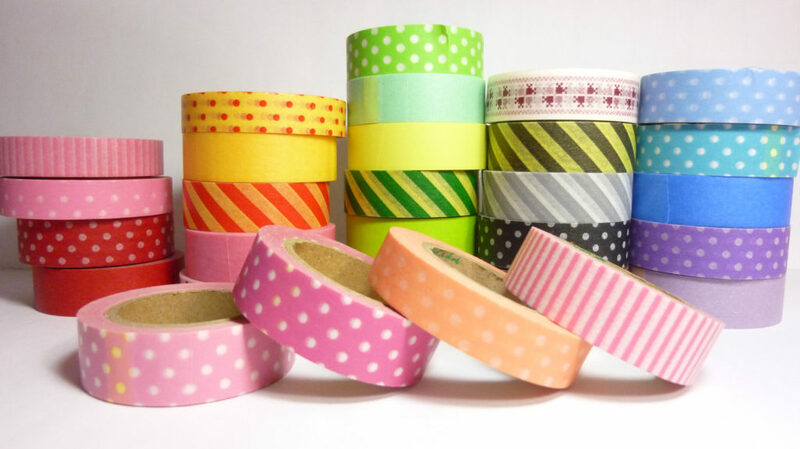 With Washi tape, the only limit is your imagination – if it sticks to an item, then it works! Below are some of our favorite ideas. Jazz up a plain package with a fun colored or patterned Washi tape. Use brown kraft paper for a really unique look and don’t just stick (pun intended!) to using the tape functionally, really get creative with mixing and matching tapes to create a fun design on the paper too! If you keep a journal, Washi tape will become your new BFF. Especially popular in Bullet Journal spreads; Washi tape can be used to decorate, be written on for fun headers, cover the side of a page to act as a marker or even be a pretty way to cover up mistakes! 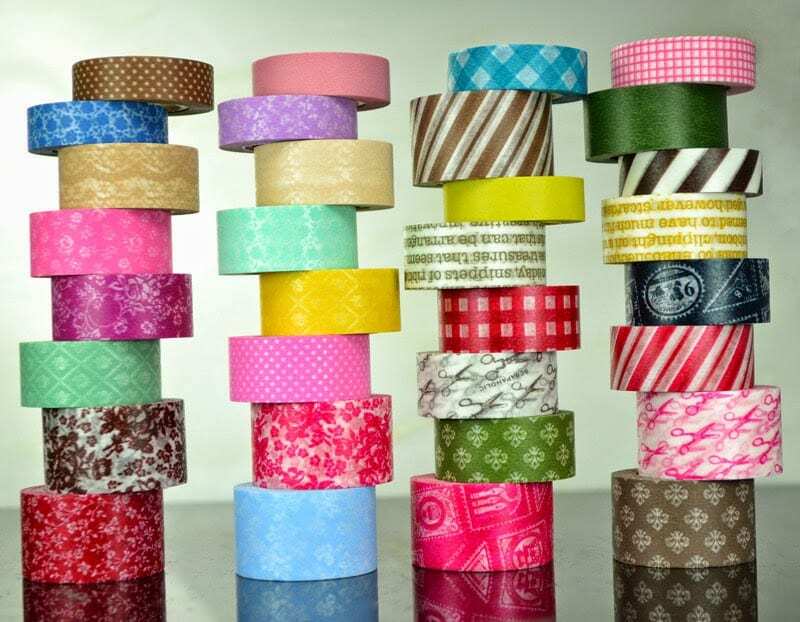 There are some rolls of Washi tape that are made specifically for journals, diaries or planners as they have the days of the week printed on them – ideal for those of us who were not blessed with neat handwriting! Washi tape makes scrapbooking super fun and easy. Use the tape to stick down any photos or keepsakes for an instantly jazzed up look! Washi tape isn’t just for paper! Use it to upcycle furniture for example. Put some tape on the edges of a table or unit to tie it into your decor theme or just to give it a new lease of life. Decorate photo frames, candle holders, and pencil holders with a simple line of tape and give them as a fun gift. The width of the tape is about the same as a single tea light and you can decorate a few with different patterns and put them in a small organza bag to make a cheap but lovely gift. The possibilities really are endless when it comes to Washi tape, and unlike a lot of craft supplies, it is relatively inexpensive and does not require a lot of skill or talent to use. Grab yourself a roll (or two… or three… or twelve) and get creative!